Producer and musician Quincy Jones has had a career in the music industry that has spanned five decades and counting. Jones is the producing brains behind some of music's most memorable soundtracks and biggest hits. He has won several music industry awards and has discovered major musical talent dating back to the days of Lesley Gore. Quincy Delight Jones, Jr. was born March 14, 1933 in Chicago, Illinois. He took up the trumpet when he was in grade school and by the time college rolled around, he was good enough to qualify for a scholarship to Schillinger House, which is now know as Berklee College of Music. He left school without finishing to tour with Lionel Hampton and then moved to New York City, where he worked as a freelance music arranger. During this time, he worked with jazz greats such as Sarah Washington and Duke Ellington as well as with a then up and coming Ray Charles. In 1957, Jones moved to Paris and formed the jazz trio The Jones Boys, with unrelated musicians Eddie Jones and Reunald Jones. Though his bandmates were considered to be among the elite in the jazz world and their shows were critically acclaimed, the costs of touring were so prohibitive that Jones fell into financial chaos. In latter years, he pointed to this experience as being transformative as it taught him the difference between playing music and the music business. He learned that he would need to be adept at both to make a living. Jones landed a job at Mercury Records running their New York office in the early 1960s and was soon promoted to vice president. He helped discover Lesley Gore and molded her career. During this time, he also began establishing himself as a film scorer. He eventually left his job at Mercury to focus on film scores full time. He also continued his work as an arranger, working with names like Frank Sinatra, Peggy Lee and Dinah Washington. Jones became the first African American to be nominated for two Grammys in the same year in 1968, when he was nominated for Best Original Song and Best Original Score for his work on the movie In Cold Blood. Jones continued his scoring and producing career though the 1970s. His next big break came when Michael Jackson decided to leave The Jackson Five and go solo. Jones was working with Michael Jackson on the film The Wiz when Jackson asked him to recommend some producers. Jones offered some suggestions, and then offered to do the work himself. After deciding on working together, the two went into the studio and created Off The Wall. The album sold 20 million copies, by far Jones' biggest sales success at the time and it made him the most sought after producer in the industry. Bigger things were to follow. Jones and Jackson collaborated again, this time coming up with Thriller. Thriller became the biggest selling album of all time. The two worked together for one more album - Bad - which sold 32 million copies. After Bad, Jones believed that Jackson needed to work with a new producer who was tapped into new sounds, so he set him up with Teddy Riley and Babyface, star artists and producers of the burgeoning New Jack Swing sound. Rumors of tension between Jones and Jackson swirled for most of the rest of Jackson's life, fed in part by Jones telling a journalist that he had too many projects to do to consider working with Jackson again. 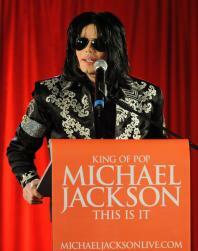 After Jackson's 2009 death, Jones downplayed the rumors and referred to Jackson as his little brother. Jones has continued to work as a producer, cherry picking projects through the 90s and beyond. He also owns QDE, a company that owns Vibe and Spin magazines as well as a film production wing. Jones is active in several charity groups, including his own We Are The Future group and The Jazz Foundation of America.